Today we meet Anna Marie Kirkpatrick, who plays the Cow and Giant, Carolyn Salt, who plays Jack’s Mom, and Mandy Fugate, who plays Granny and Cinderella’s Mother! Twelfth Night REVIEW in the Sun’s Scene Magazine! Ron Cunningham of the Gainesville Sun reviewed our production of Twelfth Night, and had lots of good things to say about it! “…Lola Bond does Olivia with all the sexual naivety of an heiress possessed of way more cents than sense. Others worthy of note include Carly Labrada’s pneumatic (in the gravity-defying black leather corset sense) … Read moreTwelfth Night REVIEW in the Sun’s Scene Magazine! Twelfth Night REVIEW in the Daily GLOB! 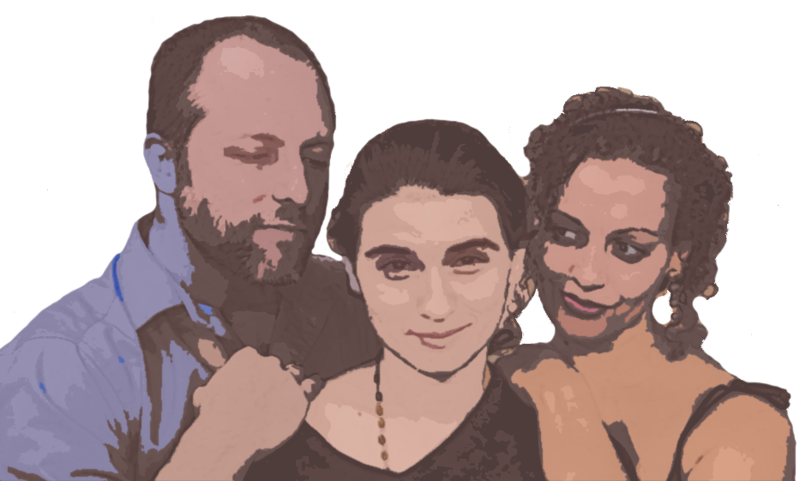 Gainesville Lunch Out Blog editor and man-about-town Mike Sanford had some lovely things to say about our current production of Twelfth Night: “The ART ensemble presented a performance that was both compelling, and engaging. Ms. Bond is a regal Olivia who’s not above impromptu comic relief, and Zoe Emblershines as Viola’s long-lost brother Sebastian. Chuck … Read moreTwelfth Night REVIEW in the Daily GLOB! Join our mailing list and be among the first to know of events at the ART. Don't worry-- your email is safe with us! Won’t You Be Our Neighbor?